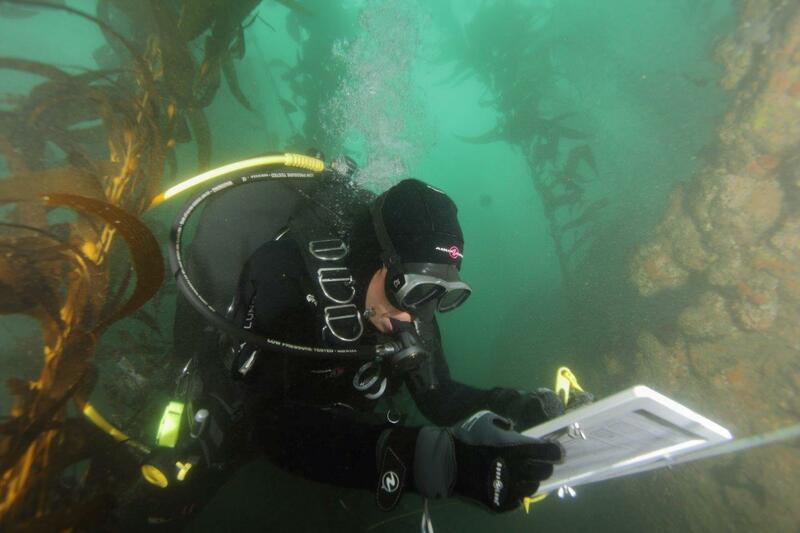 A diver monitoring kelp forest growth. Photo by David Witting / NOAA. We’re excited to kick off our fourth season of environmental storytelling with an unconventional glance backwards — this first episode is a compilation of the sounds of our summers. Adam reflects on going to camp for the first time, Citlalli learns how much harder it is to throw out a tea bag in Germany than in the United States, Diane describes visiting an ice cream shop in pre-war Syria, and Mallory goes for a dive with volunteers reclaiming a kelp forest from some prickly invaders. 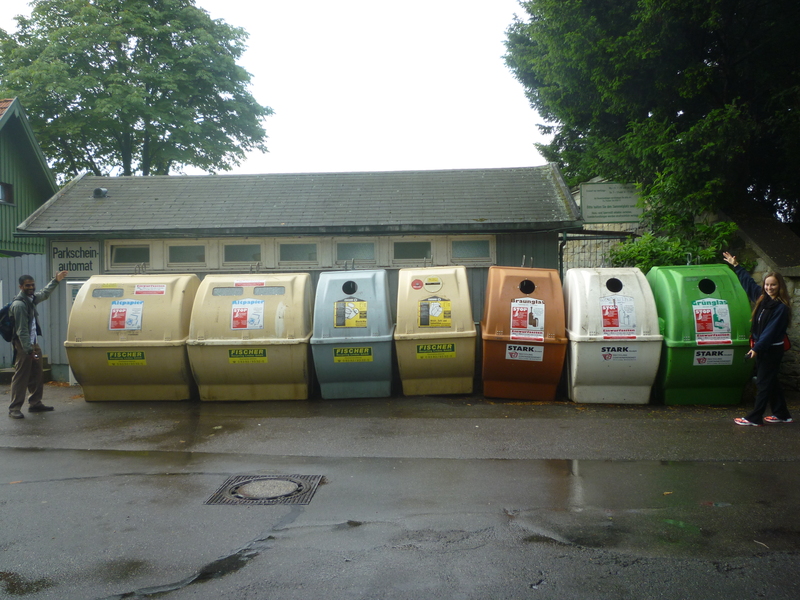 So many waste options in Germany! Photo by Diane Wu. Enjoy!! Stay tuned for upcoming episodes on turning boozy byproducts into fuel, first-hand reporting from the COP19 climate talks, and elementary school eavesdropping to hear what kids have to say about the health of the planet. Voices include ReCharge 2013 delegates, Matthew Eastman, Dominic Coccia, Nolan Rutschilling, Jamila Tull, Richard Shelton, Michael Grubert, Tara Sulzer, Founder of Creative Facilitations Stephanie Pollack, KT Donohue, Heather Coleman, LA Waterkeeper’s Brian Meux, and Santa Monica Bay Restoration Foundation’s Tom Ford. Music from Ian D. Marks, junior85, Damien Jurado, Peter Swift, Damscray, and The Jayhawks. Categories: Podcasts | Tags: community, environment, Germany, ocean, restoration, trash | Permalink. Green Grid Radio returned to a local focus this past Thursday. “A Day in the Life of a Bay Area Environmental Think Tank” featured Dr. Tanja Srebotnjak of the Ecologic Institute, who joined us to speak a bit about some of the San Mateo office’s recent work in the Bay Area. This included discussion of the Sustainable San Mateo 2012 Indicators Report and a recent project on Senior Health in San Mateo. As we think about communities and large populations aging in the future, how might we improve resource efficiency? Do seniors need to have to have their Oldsmobile in their driveway for weekly trips to the store, or can we introduce interventions like car-sharing or taxi services to reduce the hassle of vehicle ownership, encourage the sharing economy, and improve the social lives of folks? This was merely one topic we discussed this week. Matt Chalmers of UC Davis Law School, panelist extraordinaire, also joined us to hammer home the importance of many sectors (government, nonprofits like Ecologic and academia, and industry) working together to solve our sustainability challenges. Ecologic has written up an even more comprehensive description of the episode. Thanks for the support and promotion! Categories: Podcasts | Tags: environment, resource efficiency, sharing economy, Sustainability, think tank | Permalink.